The Living Future Institute of Australia is delighted to have partnered with the following organisations in 2019 and look forward to working with them throughout the year. Alinta Energy GeoThermal is a leading Australian utility with an owned and contracted generation portfolio of up to 1,957 MW and over 8000,000 combined electricity and gas retail customers and over 400 employees across Australia and New Zealand. We have been supplying energy to customers in Australia for over 20 years. With award winning customer service, Alinta Energy is committed to playing a positive role in the future of Australia. Alinta Energy is the smart choice when it comes to selecting an electricity provider. We both generate and retail electricity in Australia, which means we are able to offer extremely competitive pricing. Our goal is to make energy more affordable for all Australians. We look forward to working with the LFIA during 2018 and together making a positive contribution to sustainable communities. Since 1915 the steel industry has been an essential part of Australia and its economy. BlueScope's heritage traces back to the very beginning. Mohawk Group, the world’s leading producer and distributor of quality commercial flooring, delivers industry-leading style, cutting-edge innovation, unmatched service and superior sustainability. In 2016, the company was honored with Living Building Challenge Petal Certification for the Light Lab Design Centre, home to Mohawk Group’s product design team. With a heritage of craftsmanship that spans more than 130 years, Mohawk’s enduring family of brands are widely regarded as the most trusted names in commercial flooring. Rounding out its esteemed product offering is a full spectrum of hard surface flooring products that exceed the most rigorous performance standards. Founded in Sydney in 2008, Solgen Energy Group is driven by a simple, yet powerful vision: to enable solar power for everyone. The Australian Energy Market Operator predicts that by 2030, 40% of all energy generation in Australia will be decentralised. Set to be sourced from rooftops, fields and other renewable sources, we’re focused on shaping a new era of clean energy, nationwide. With a focus on engineering, finance, installation, project management and customer support, we’ve designed, built and installed commercial solar systems for some of Australia’s most trusted brands and businesses. As leading commercial solar Engineering, Procurement and Construction contractors, our knowledge and credentials underpin our capability to provide renewable solutions for businesses, country-wide. Aspecta offers a robust portfolio of resilient flooring products to the global contract community, including our valued customers in Australia and New Zealand. We continually seek to align ourselves with those who champion our values of transparency and social justice. Aspecta is the first company to offer Declare℠ labels in multiple, international languages, the first to receive Just℠ labels for factories in China, and is actively involved with the Living Future Institute of Australia, the International Living Future Institute, mindful MATERIALS, and HPD Collaborative. Our headquarters are located in the United States, but our employees are dispersed throughout the world. The Living Future Institute of Australia (LFIA) is committed to a society which is socially just, culturally rich and ecologically restorative, aligning closely with Frasers Property Australia’s own values and vision for a more sustainable future. 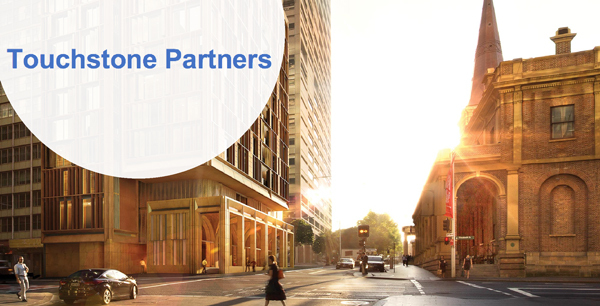 At Frasers Property, we believe our changing world demands a different approach and we have chosen to partner with the LFIA to collaboratively share our skills, knowledge and passion, so that we may excel in this vision. We believe that the ground beneath your feet should have a positive impact on how you live, learn, work, heal and play. We strive for design excellence in everything we do - from conception to production to installation, it’s what sets us apart. Shaw Contract Australia’s extensive range of commercial flooring solutions includes carpet tiles, broadloom, and vinyl flooring with many collections available in stock in Australia and ready for delivery. Touchstone Partners understands that when you invest in the development of your staff, you are building a strong future for your company. Supporting staff to grow professionally in stride with your organisation ensures they are capable of growing the business, inspiring change and promoting innovation. The Touchstone team provide LFIA staff with continuing professional development to assist them in reaching their full potential and delivering the LFIA’s mission. Good Environmental Choice Australia (GECA) are an ongoing supporter of LFIA by sharing space and resources during our growth period. GECA operates a transparent certification program develops standards against which products and services can be independently audited according to criteria for environmental, health and social impacts. Murchisons support the Living Future Institute of Australia (LFIA) with their stellar accounting and business advisory services. In doing what they do best, Murchisons allows the LFIA focus on our mission and deliver better value to our members and supporters.